The searchfor a plane carrying 239 people that vanished last Saturday morning expanded westward. “The information we have forces us to look further and further afield,” Malaysia’s Transport Minister Hishammuddin Hussein said on Friday. Malaysia Airlines Flight MH370, a Boeing 777-200 aircraft, seemingly vanished after reaching an altitude of 35,000 feet over the South China Sea on March 8. A Malaysia Airlines Boeing 777-200ER seen at Narita Airport near Tokyo, Japan. The plane disappeared from radar at 1:30 a.m. local time over the waters between Malaysia and Vietnam, 85 miles north of the Malaysian city of Kuala Terengganu. There were 239 people on board: 227 passengers and 12 crew members. Relatives of missing passengers make their way through a crowd of reporters at a hotel in Beijing. Hishammuddin Hussein, minister of transport, said Friday that the hunt for the plane was spreading deeper into both the Indian Ocean and the South China Sea. There are signs the aircraft may have flown on for hours after its last contact with air-traffic control. Malaysia Airlines Flight MH370 reportedly sent intermittent signals to a satellite for several hours after its last contact with the ground early Saturday morning, according to an unnamed official who spoke to the Associated Press, indicating the plane may have continued to remain airborne and wasn’t immediately destroyed in a crash. A Malaysian Maritime Enforcement Agency surveillance plane was dispatched to investigate potential debris shown on Chinese satellite images. Officials said the images were released in error. Initially, there had been concern over the usage of two passports stolen from people who were not on the plane. CNN released this photo showing the two consecutive tickets purchased by the two passengers with stolen passports. On Tuesday, officials said the men traveling on Malaysia Airlines with stolen passports are Iranians with no apparent ties to terrorist groups. Officials identified the men as Pouria Nour Mohammad Mehrdad, 18, and Delavar Syed Mohammad Reza, 29. While these men have no ties to terrorism, Malaysian authorities still have ruled nothing out, including terrorism, hijacking, pilot suicide, and mechanical failure. U.S. officials told NBC News on Saturday they were investigating terrorism concerns. Officials have cautioned that no link to terrorism had been discovered so far. The FBI and Interpol, along with a joint team of Chinese and Malaysian officials, are looking into the possibility of a botched hijacking. A joint working group sent by the Chinese government to Malaysia checks in at an airport in Beijing. 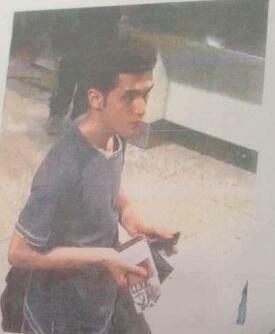 Interpol released a statement concerning the two men with stolen passports who were en route to Europe via Beijing. The Austrian and Italian passports were added to INTERPOL's SLTD database after their theft in Thailand in 2012 and 2013 respectively. INTERPOL is also conducting checks on all other passports used to board flight MH 370 which may have been reported stolen. No checks of the stolen Austrian and Italian passports were made by any country between the time they were entered into INTERPOL's database and the departure of flight MH 370. At this time, INTERPOL is therefore unable to determine on how many other occasions these passports were used to board flights or cross borders. INTERPOL is currently in contact with its National Central Bureaus in the involved countries to determine the true identities of the passengers who used these stolen passports to board the missing Malaysia Airlines flight. The plane completely vanished from radar one minute before it entered Vietnam’s air traffic space, according to Lt. Gen. Vo Van Tuan, deputy chief of staff of the Vietnamese army. A Vietnamese official joins the search party at a military airport in Vietnam's Ho Chi Minh City. The Vietnamese media originally reported the plane crashed south of Phu Quoc island. But it was later confirmed that no wreckage had been discovered. Vietnamese military personnel onboard an aircraft off the coast of Vietnam's Tho Chu Island. Vietnam, Malaysia, China, Singapore, and the Philippines are all working together to find the missing plane, along with the U.S. 7th Fleet's USS Pinckney. Vietnamese military personnel looking out of a helicopter during a search-and-rescue mission off Vietnam's Tho Chu Island. A Singaporean search plane discovered a "strange object" on Sunday, only to discover it was not debris from the plane. Vietnamese military personnel reviewing MH370's original flight path. There were no distress calls or reported problems before MH370 vanished. And according to weather reports, there were no significant storms in the area. The Vietnam Air Force during a search and rescue mission off Vietnam's Tho Chu Island. So far, any objects or oil spills found by search teams have not been connected to Flight MH370. This view of an oil spill is seen from the window of an aircraft belonging to the Vietnamese Air Force, off the coast of Tho Chu Island. There are currently 43 ships and 40 aircraft searching the South China Sea (26 ships and 25 aircraft) and Straits of Malacca (17 ships and 15 aircraft), Malaysia officials said. "Pray for MH370" is written in candles during a vigil held by ethnic Malaysian-Chinese for the passengers of Malaysia Airlines MH370 near Independence Square in Kuala Lumpur. In 2005, Malaysia Airlines Flight 124, also a Boeing 777-200, departed Perth for Kuala Lumpur and ran into instrumentation issues, forcing the pilot to land the aircraft in Perth manually. A giant screen in Beijing shows the number of hours since Malaysia Airlines flight MH370 went missing.